You definitely know of the movie Pineapple Express by this point, but you’ll be impressed and not disappointed to try out the strain the movie is named for. 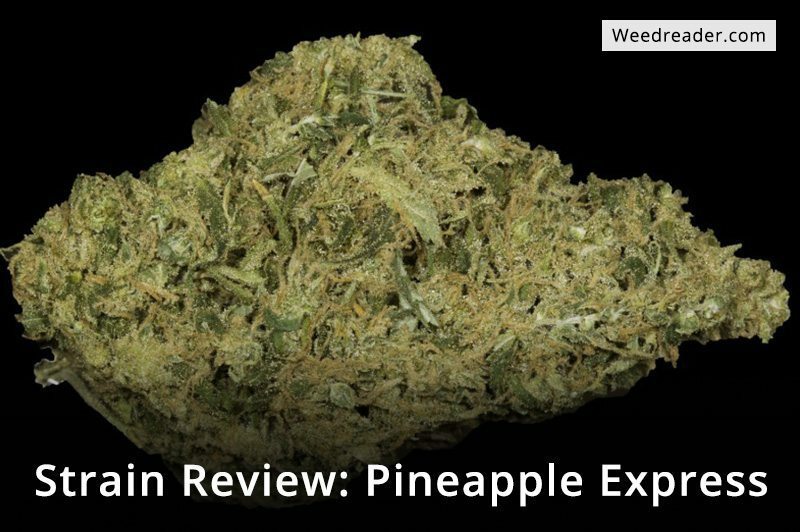 If you’ve tried Trainwreck, think of it as a precursor to what you’ll experience with a dose of PE– after all, Pineapple Express is a hybrid of Trainwreck and Hawaiian. It’s incredibly hard hitting and long lasting, so plan accordingly. An excellent blend of the energizing effects of sativa, with creativity and uplifted thoughts, and the pain relief of indica. Obviously, this strain tastes of pineapple, but it’s also sweet, with hints of apple, mango, and even pine. The whiff is mouth-watering, and easy to see why it’s an instant classic. Enjoy a few crushed buds rolled up in a fruity blunt wrap, and it’s the best dessert you could imagine. The buds themselves are sticky, coated in trichomes, and often almost yellow in color. Very dense, resiny, and stinky, you might even be tempted to lick your fingers after you break them up. One user says, the darker the bud, the stickier the resin, so good luck getting it off your hands! The smoke is very smooth, and my personal favorite is through a clean water bong, lit with a match or wick. That way, the only thing you taste is the deliciously sweet fruit and crisp pine and cedar. It’s a calm directly afterwards, but not a couch lock. I felt energized, and like I could get up and keep going with the day if I chose to. The euphoria is tolerable (you ever had it where some strains just get you too happy? It can really shake with reality. ), and all that means is, life still feels real; you just feel more capable. Some feel extreme relaxation without time becoming a trip, and others find a boost in appetite or a case of the giggles. The high might creep in, especially if you take the actual smoking slowly. Careful for hitting it hard–rather than rip 3 or 4 hits in a row expecting to fall right into the high, take one medium-sized pull, then see how it feels in a few minutes. One user recommends starting with a fast-moving sativa strain, then trying Pineapple Express to ‘stretch it out.’ With any luck, you’ll feel symptoms of anxiety and depression start to melt away, and aspects of your true, happy self will come forward. For some, it’s a very visual high, with colors brightening and textures popping. Try a fat bowl out in your favorite secluded area of a park, on a mountain, or by a lake, and let nature unfold its wonders.